Inspire us with a 20 minute ADR Podcast interview with Editor-in-Chief, Deborah Levine. Just fill out the form below. 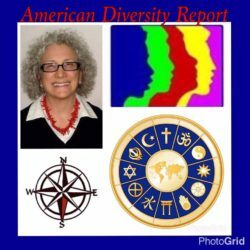 You’ll receive directions for calling in to the podcast as well as providing the head shot photo and brief bio for your own page and URL on the American Diversity Report. The ADR podcasts are pre-recorded and promoted in the next e-newsletter. There are no questions from listeners so the interview is all based on the info you provide on this form. When you call in, we’ll take time to review our plans for the interview before we start recording. Fill out the form below and we’ll start the process by e-mail.